Physiotherapists are the best placed Health Professionals to understand injury and to optimise function and higher performance. We will guide you through your journey using the latest evidence-based exercise principles to allow you to perform at your best. If you have been injured previously or have become frustrated with lack of progress, then SquareOne is the place for you. We are heading across the spit bridge and opening our Balgowlah practice on the 1st April. To celebrate we are giving away some fantastic SquareOne Clinical Exercise experiences! Including our Kickstart package and 20 sessions of our Semi-private classes. A thorough 1 hour assessment will be undertaken by a SquareOne Physio. We will identify any weaknesses, assess problem areas and talk about your specific requirements and goals. This will include a real-time ultrasound assessment to ensure recruitment of core muscles and pelvic floor is understood before you move onto your introductory sessions or classes. The SquareOne team use a combination of Physio rehab and Pilates informed exercises and equipment (reformer, trapeze table, wunda chair, ladder barrel etc) combined with the latest knowledge and research on exercise and rehabilitation to manage pain, restore function, prevent injury and improve your performance. You will then be credited with 20 sessions over the next 6 months to attend our clinical equipment semi-private group classes. Including an Initial Assessment and 20 private sessions with a Physio. 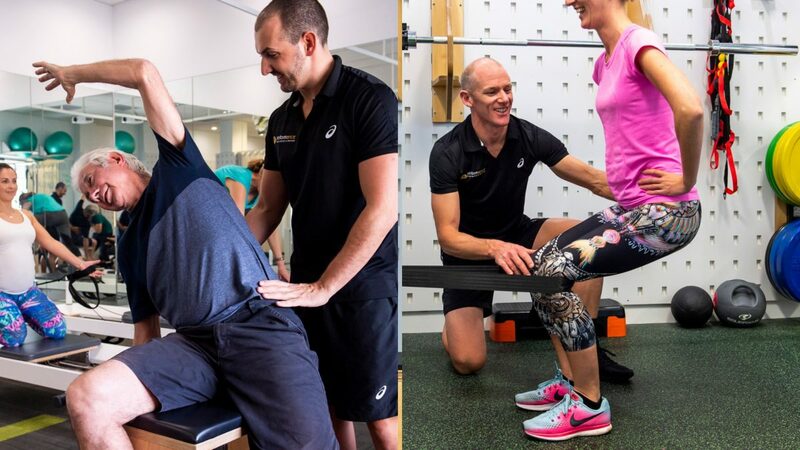 To start you will attend an initial one hour assessment with your SquareOne Performance Physio to discuss your goals, current level of fitness, injury history and perform a musculoskeletal screening to determine your technique, strength base and areas that we need to address. After the assessment you will move into our Performance Program where you will continue training under the guidance and coaching of your SquareOne Performance Physio for 20 sessions. Exercise Kickstart packages – attend an initial assessment and private session to get you started and qualify you for our small group clinical equipment classes or Performance program. Prizes valid at our Balgowlah location only. Initial Assessment must be completed before 30th may 2019. 20 sessions valid for 6 months after your initial assessment date. Participant will need to be suitable to attend our Clinical Equipment group classes – if deemed unsuitable we will discuss a suitable alternative for you.